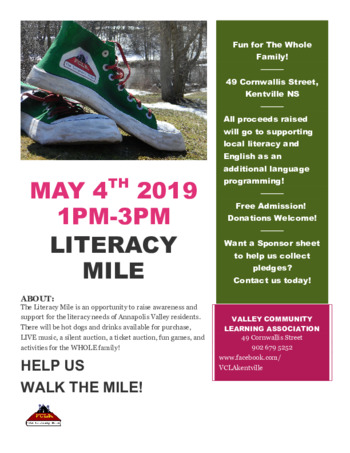 The Literacy Mile is an opportunity to raise awareness of and support for the literacy needs of Annapolis Valley residents. There will be hot dogs and refreshments for sale, live music, a silent auction, and activities for the whole family. During this event we will be celebrating the accomplishments of our learners and recognizing the community support, financial and in-kind, that we have received throughout the year.